45g of kickwax. Covers +3° to -2°C. Variable snow conditions (including damp snow). This is a well-know and well-used wax by the top racers for these conditions. Formerly Yellow Special (aka Lindex Yellow and Ex-Lind Yellow). 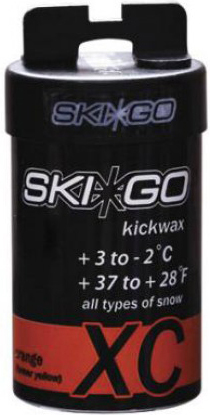 XC Kickwax is suitable for training and competition.